Wed., 4 Sep. - Fri., 13 Sep. Thu., 30 May - Sat., 8 Jun. Sat., 5 Oct. - Sat., 12 Oct. Tue., 17 Sep. - Sun., 29 Sep.
Wed., 7 Aug. - Wed., 4 Sep. Mon., 20 May - Fri., 28 Jun. Mon., 8 Jul. - Mon., 15 Jul. Fri., 14 Jun. - Fri., 28 Jun. 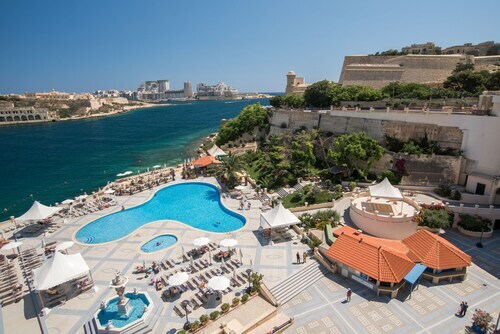 See all 926 properties in Malta Intl. 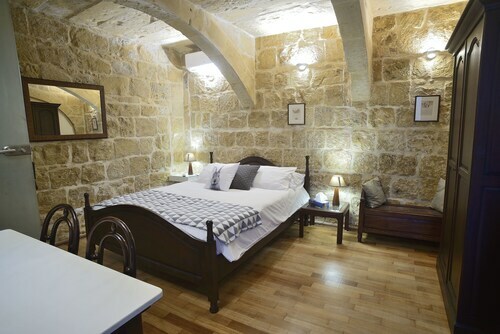 Situated in Gudja, this bed & breakfast is 2 mi (3.2 km) from Hal Saflieni Hypogeum and 2.7 mi (4.4 km) from Grand Harbour. Tarxien Temples and Pretty Bay are also within 3 mi (5 km). Situated in Luqa, this guesthouse is close to Royal Malta Golf Club, Hal Saflieni Hypogeum, and Tarxien Temples. Local attractions also include Grand Harbour and Upper Barrakka Gardens. 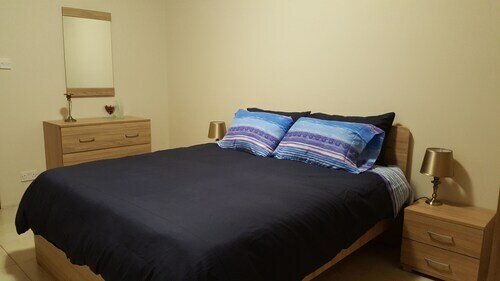 Situated in a rural location, this vacation home is 2.5 mi (4 km) from Blue Grotto and 3.1 mi (4.9 km) from Pretty Bay. Grand Harbour and Upper Barrakka Gardens are also within 6 mi (10 km). 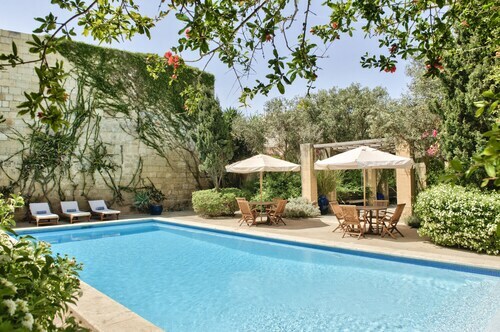 Situated by the ocean, this vacation home is 1.7 mi (2.8 km) from Tarxien Temples and 2.4 mi (3.9 km) from Grand Harbour. Hal Saflieni Hypogeum and Pretty Bay are also within 3 mi (5 km). 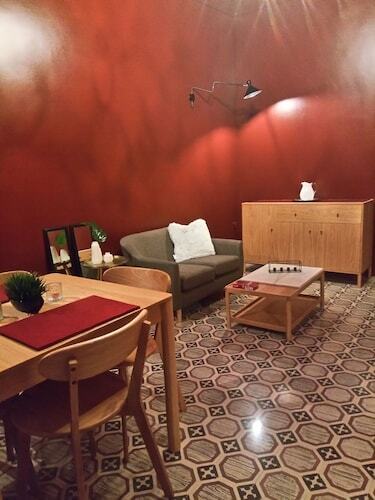 Situated in Tarxien, this property is within 1 mi (2 km) of Tarxien Temples and Grand Harbour. Hal Saflieni Hypogeum and Royal Malta Golf Club are also within 3 mi (5 km). Situated in Rahal Gdid, this vacation home is 0.7 mi (1.1 km) from Hal Saflieni Hypogeum and 1.3 mi (2.2 km) from Grand Harbour. Tarxien Temples and Royal Malta Golf Club are also within 3 mi (5 km). Set beside the 16th-century bastions of the waterfront city of Valletta, this luxury modern hotel is amid landscaped gardens, 200 metres from the city center. 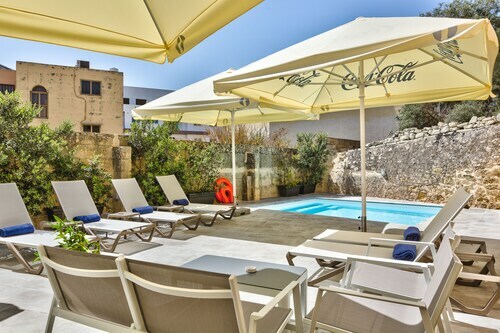 Situated in Tarxien, this bed & breakfast is within 1 mi (2 km) of Tarxien Temples and Grand Harbour. Hal Saflieni Hypogeum and Malta at War Museum are also within 2 mi (3 km).